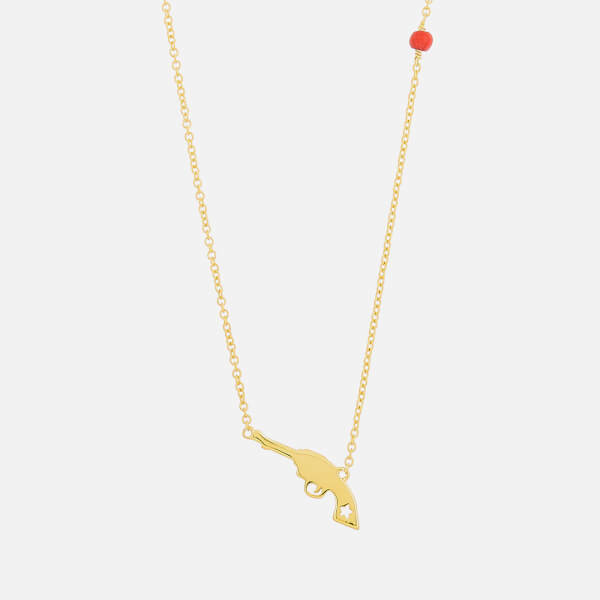 Handmade, gold plated necklace detailed with a pistol pendant by Anni Lu. 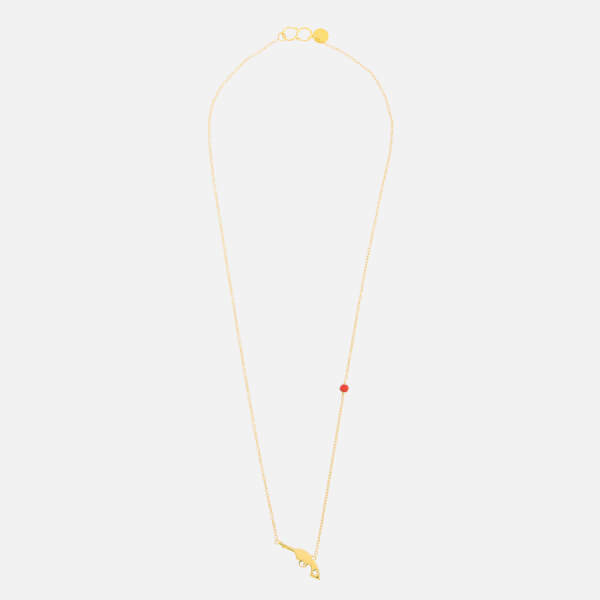 The Scandinavian label employs its customary use of playful themes with a delicacy of design in the ‘Kiss Kiss Bang Bang’ necklace. A star-shaped cutout on the handle and a semi-precious gemstone feature. An S-shaped hook fastens. 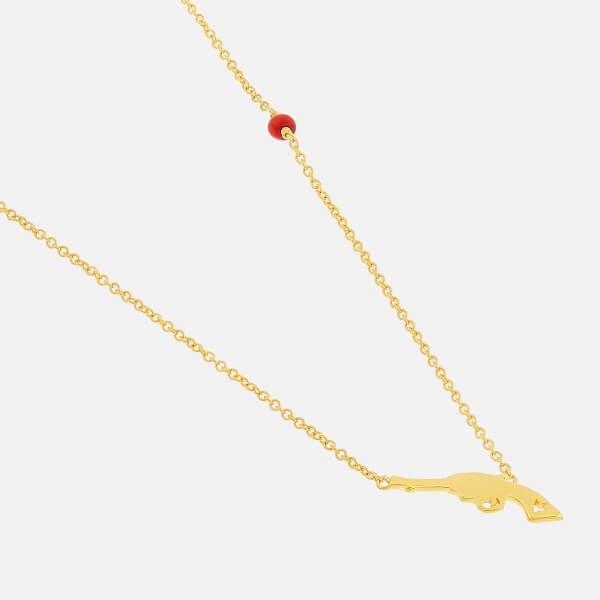 Chain: Sterling Silver 925S/18kt Gold Plated. Stone: Semi-Precious Gemstone. Chain Length: 42cm. Stone: 3mm.